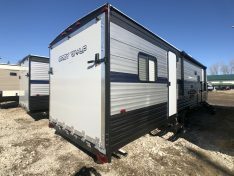 The Grey Wolf by Cherokee is engineered with impeccable quality, distinctive features, superior comfort and remarkable affordability. 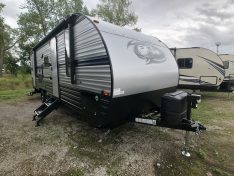 Grey Wolf offers our customers a chance to escape the ordinary and relax, to enjoy family and friends and to see nature in all its beauty and wonder. 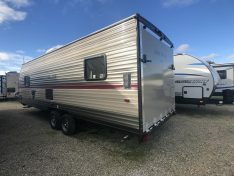 These special life moments are the reasons Forest River Grey Wolf RV takes pride in all that they do. 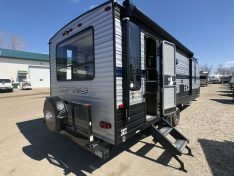 Grey Wolf remains the number #1 selling Travel Trailer in Forest River RV’s vast lineup. 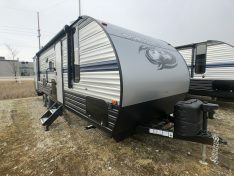 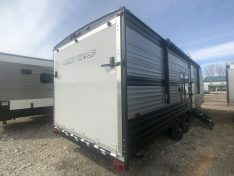 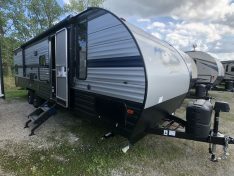 Wether it’s a small lightweight Toy Hauler or a family sized Bunkhouse or Bunk Room Travel Trailer that sleeps 10, Grey Wolf RV can provide the floor plan you and your family are looking for.